Who's this new poster gazza, sounds a bit mad like. 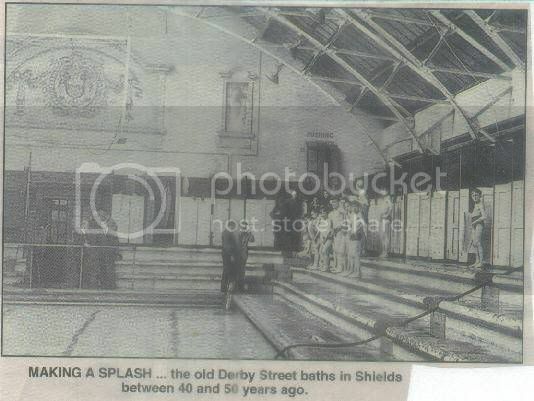 Simonside Hall, I have some old gazette cuttings relating to Derby Street baths, with a few pictures but being cuttings from the paper they are not good quality, I will post them if you want. Simonside Hall, when the last pic says 40 or 50 years ago remember the cutting could be up to twenty years old, so the picture could be as old as 1930s or 40s. I remember using those torso-shaped cages to hang your clothes up, the freezing cold foot-bath on your way in and the "brand-new invention" vending machine to get a cup of oxo afterwards. The houses on Derby street were about to be demolished (in the late 1960's I think). We used to explore the crumbling homes and some of the corner shops were still open for us to spend the rest of our pocket money. 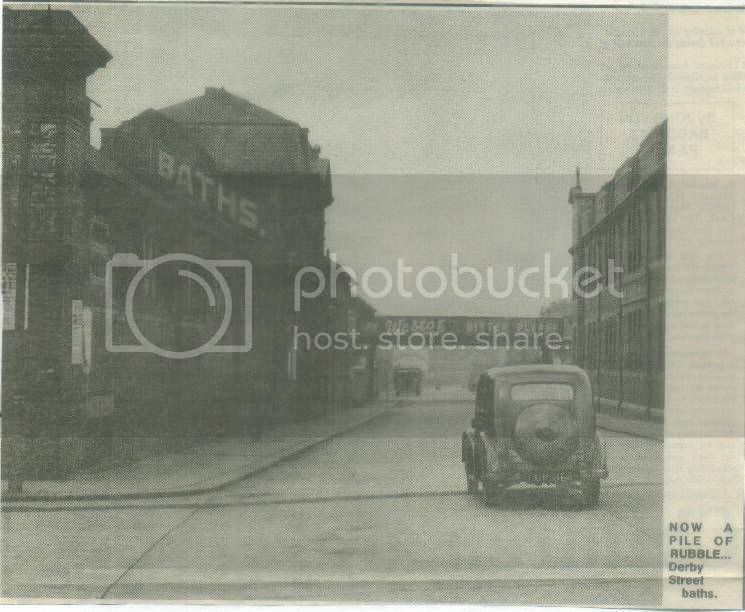 I remember the derby street baths, when we came out there was a wafer biscuit factory just passed the railway bridge, you held your towel open across your forarms and they would put a whole lod of broken biscuits in for a penny. 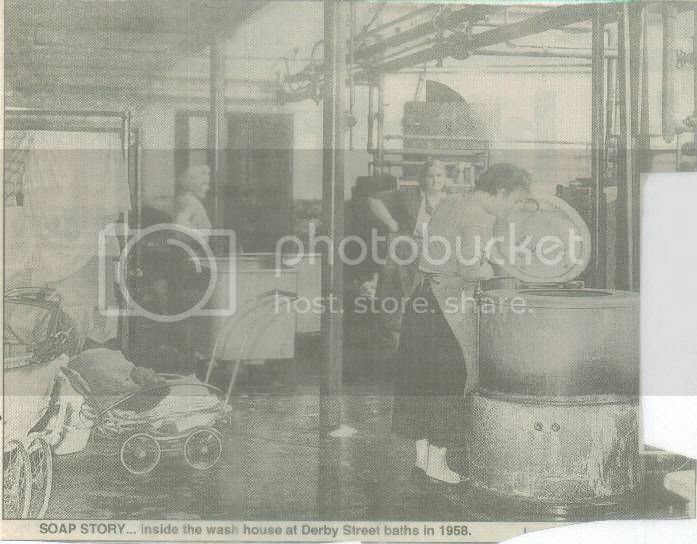 From the age of 16 I lived in digs in Stanhope Road, the house had no bathroom, just a netty at the bottom of the yard, I used to queue with the down and outs for a bath at Derby Street, you were given a towel that stunk of bleach and a small bar of cheap soap. there was a corridor full of bathrooms, the baths were huge and ancient but there was endless hot water, the experience learnt me to appreciate my now daily morning and evening shower. Right opposite the Baths was a Catholic school. It had its playground up on the roof. I went there for a few months (even though not Catholic) when I lived with my Nana who lived in Robertson Street. I remember going there for swimming lessons with the school. I used to love swimming in those days but havent done any for years as I find it really boring. I remember going there also with school for swimming lessons. We had this daft kid called speccy bob who was only kid good at religous knowledge. He in awe of big expanse of water and so filled up with God and the bible decided he could walk on water and proceeded to cross at the deep end. It amazing how even in those days before Kiss of life they were able to revive him. Although lots of fun we all miffed at swimming lesson wasted. We waited till next time and held his head under the water till teacher catch us. He okay but he never go on swimming lessons again. I not sure who got best deal out of all that as pool was bloomin freezing. Not a kiddy fiddler ?? 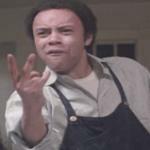 I know who you mean sless but I always got on great with him. Never saw him with any hose or the likes. He was a very popular man in my era and was a great instructor. It has been said on these boards before that he was a nast bity of work and used the hose. I'm beginning to wonder if it's the same person as I'm pretty sure the one I know would probably have been retired by the time you started going to the baths. Either that or he had a personality transplant.